Montegrappa Chaos 18k Gold Fountain Pen is a limited edition of 1000. 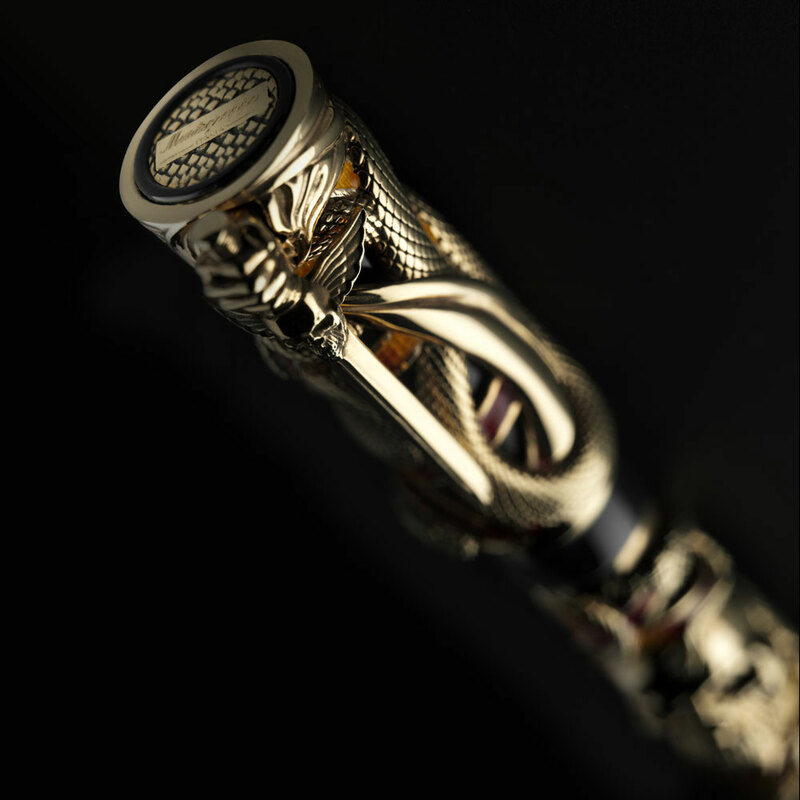 Sylvester Stallone's "Montegrappa Chaos 18k Gold Fountain Penâ€ pen is crafted from precious materials and produced in limited numbers. 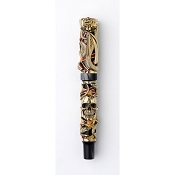 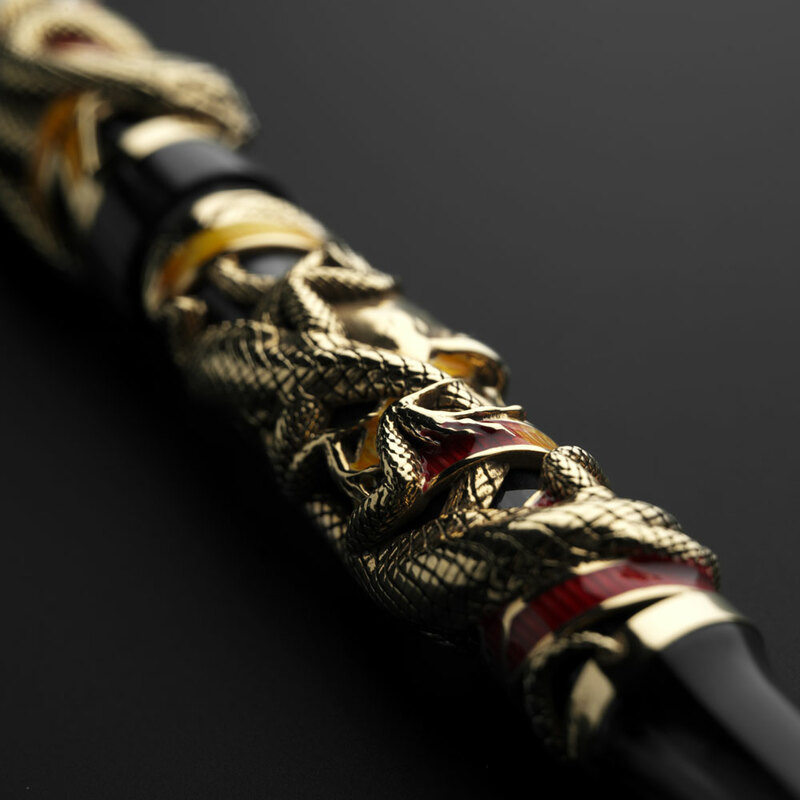 The body of the pen is made of black pearlized celluloid with overlays in solid 18kgold. 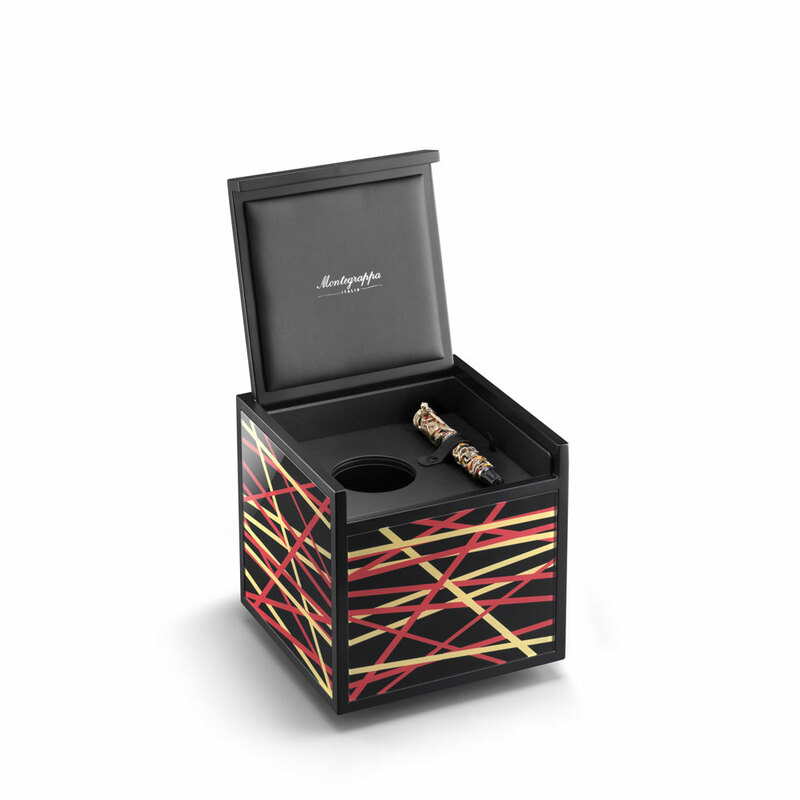 Overlays are finished by hand by Montegrappa's skilled craftsmen and feature an antiqued finish with accents in translucent enamel, in reds and yellows - the colors of fire. 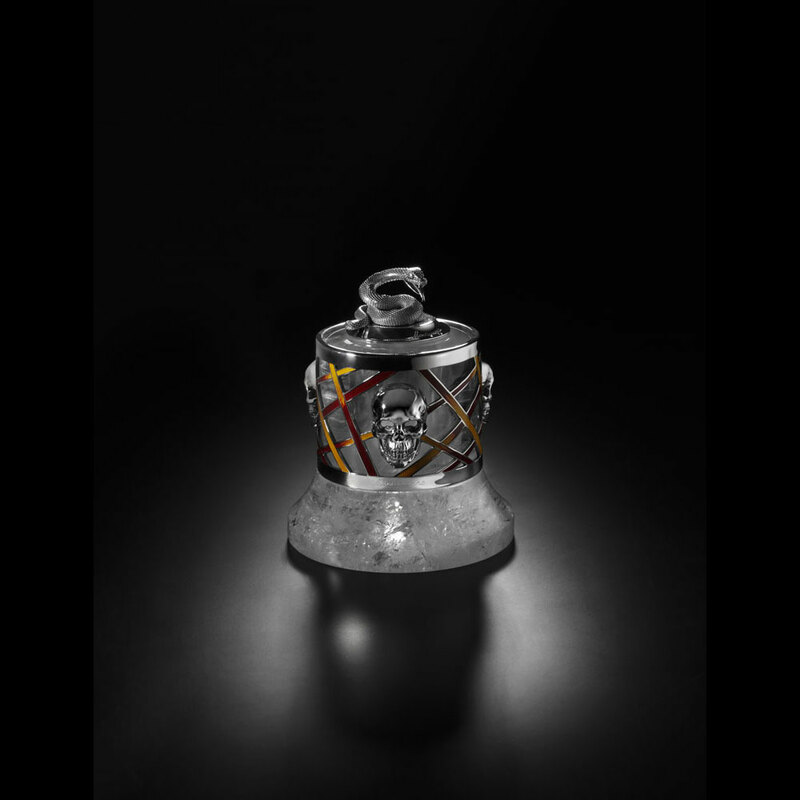 The design is characterized by the juxtaposition of life and death; the former represented by the early forms of life on Earth: reptiles (such as snakes and lizards), the latter by the skull. 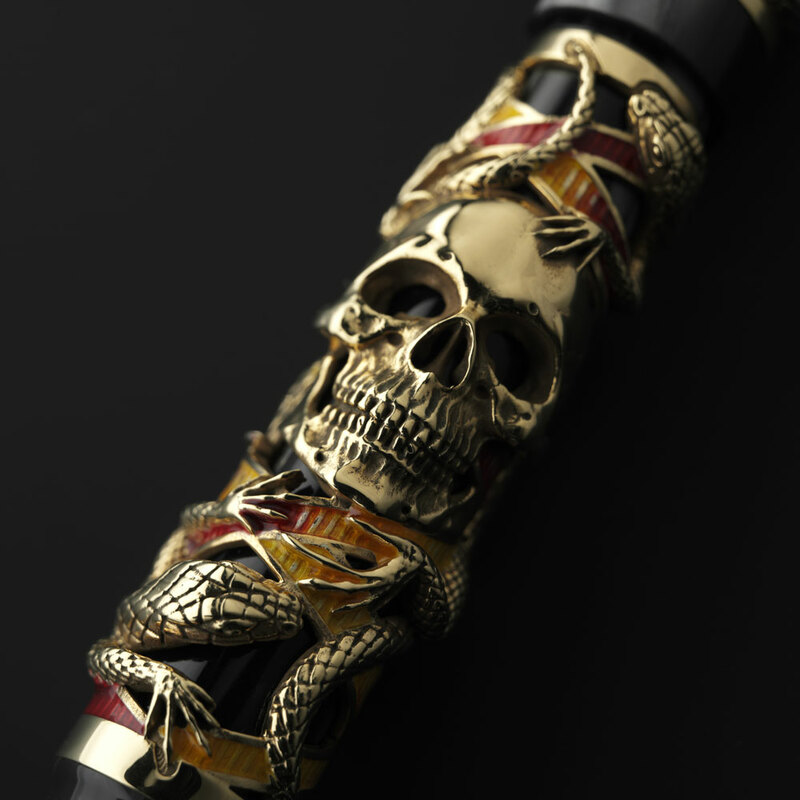 And though it is not as mighty as the pen itself, the ultimate defining detail, bearing both a fist and a skull, is the pen's clip in the form of a sword. 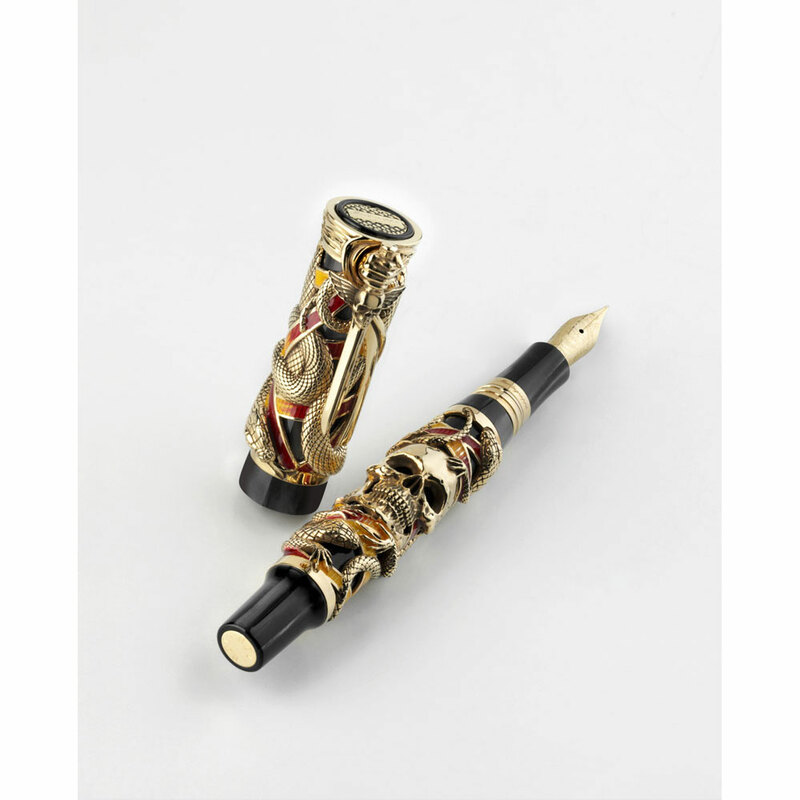 The Montegrappa Chaos 18k Gold Fountain Pen is available with Extra Fine, Fine, Medium, and Broad nibs in 18k gold. 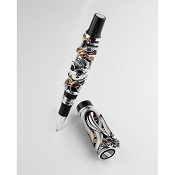 Montegrappa Chaos Silver Fountain Pen is the first fromthe "Cult" Collection.